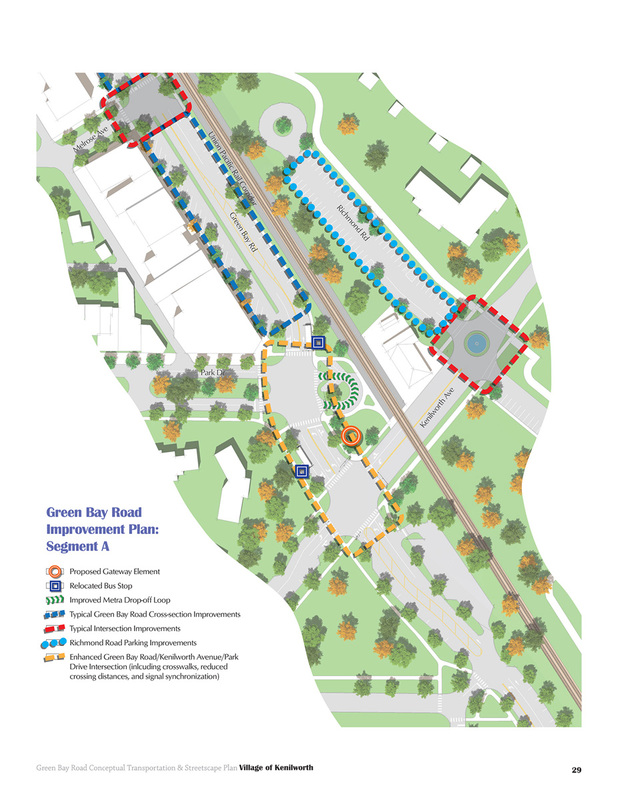 Green Bay Road connects communities throughout the region, and hosts high traffic volumes, Metra’s Union Pacific-North commuter rail line, and the Green Bay Trail, and high levels of pedestrian traffic. 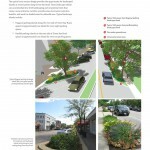 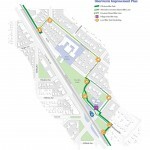 The Village of Kenilworth, in conjunction with the Regional Transportation Authority, hired Houseal Lavigne Associates to draft a Green Bay Road Conceptual Transportation and Streetscape Plan. 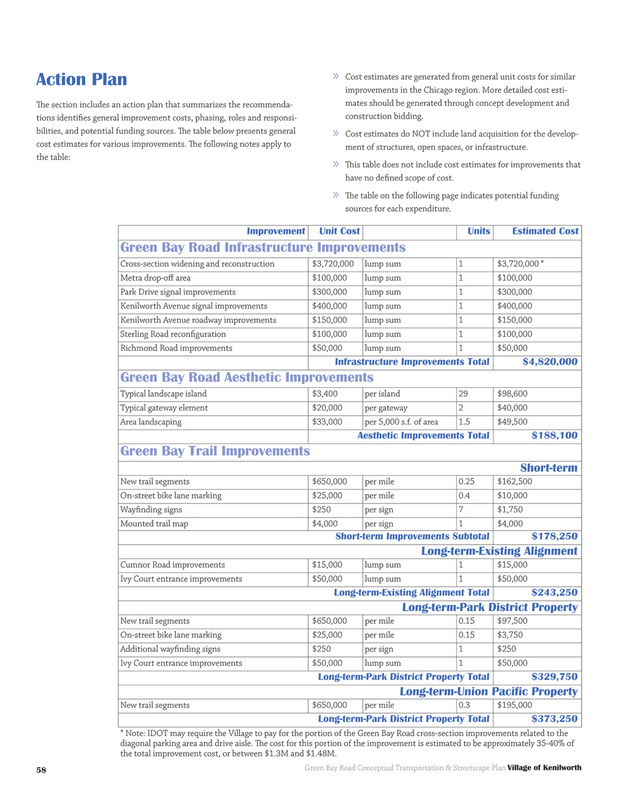 The Plan builds upon the previously adopted Comprehensive Plan, which includes a vision for growth and development along Green Bay Road. 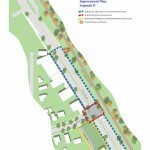 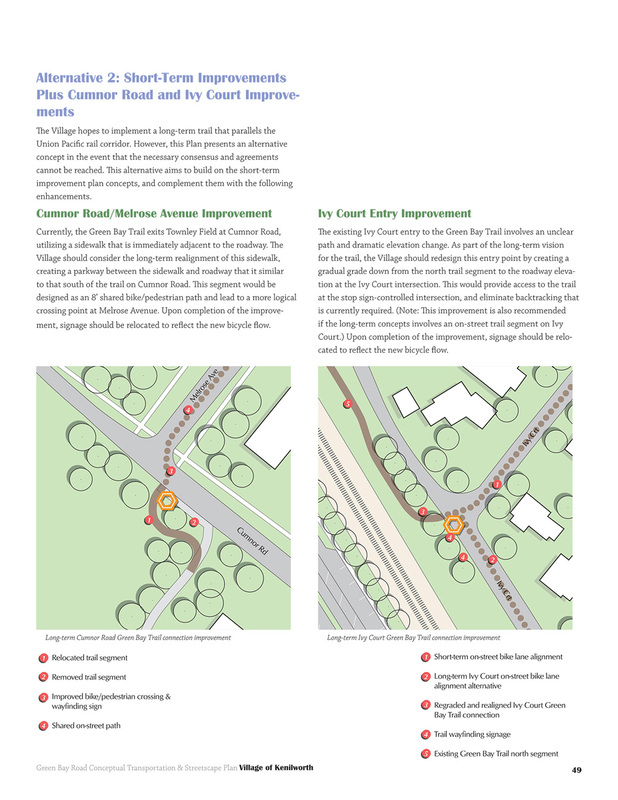 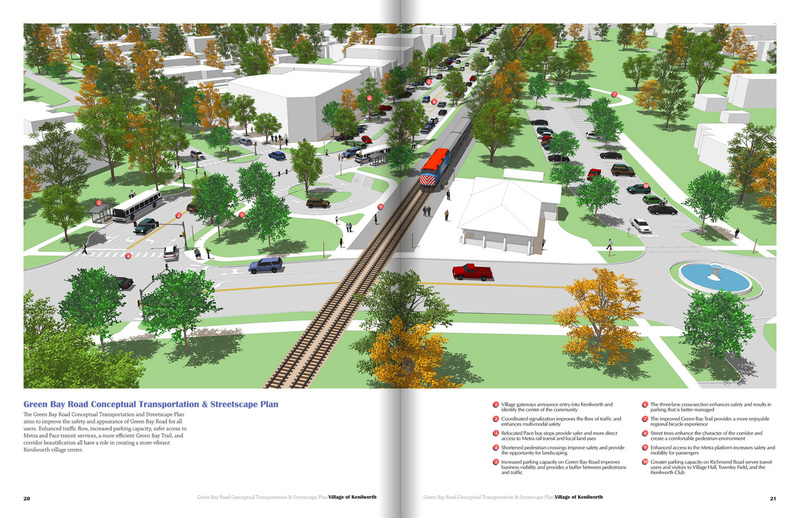 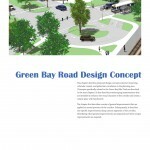 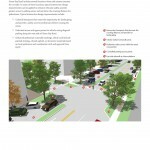 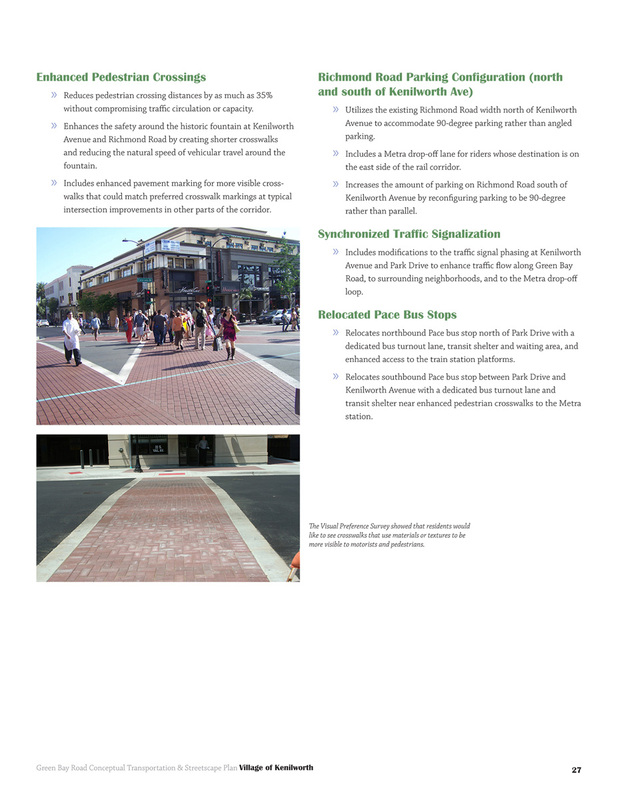 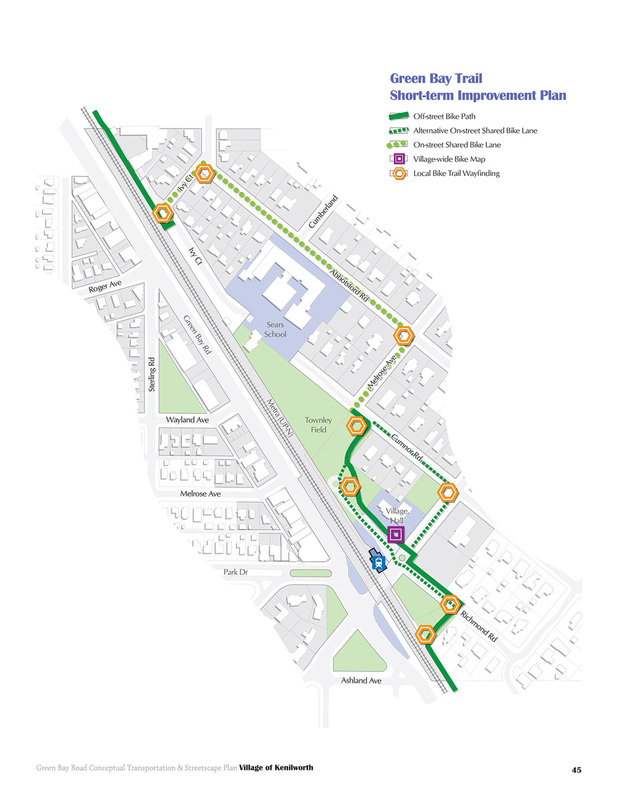 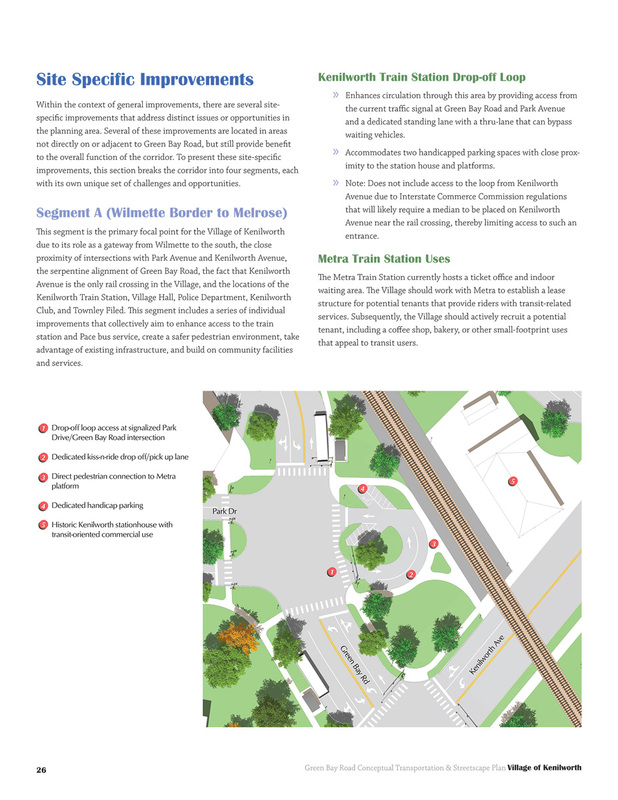 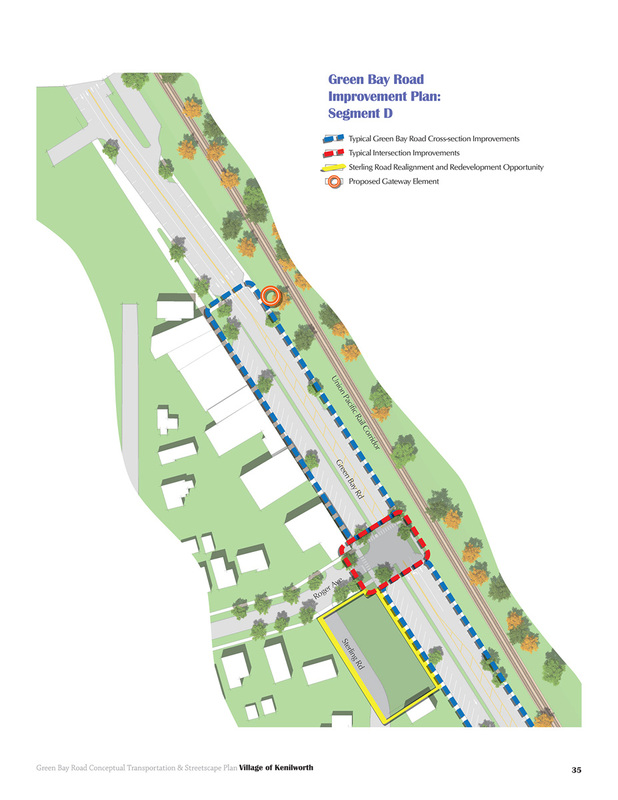 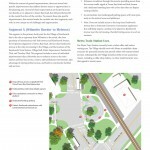 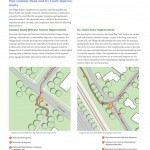 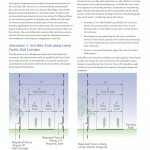 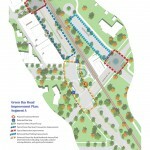 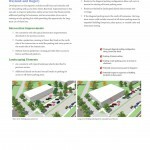 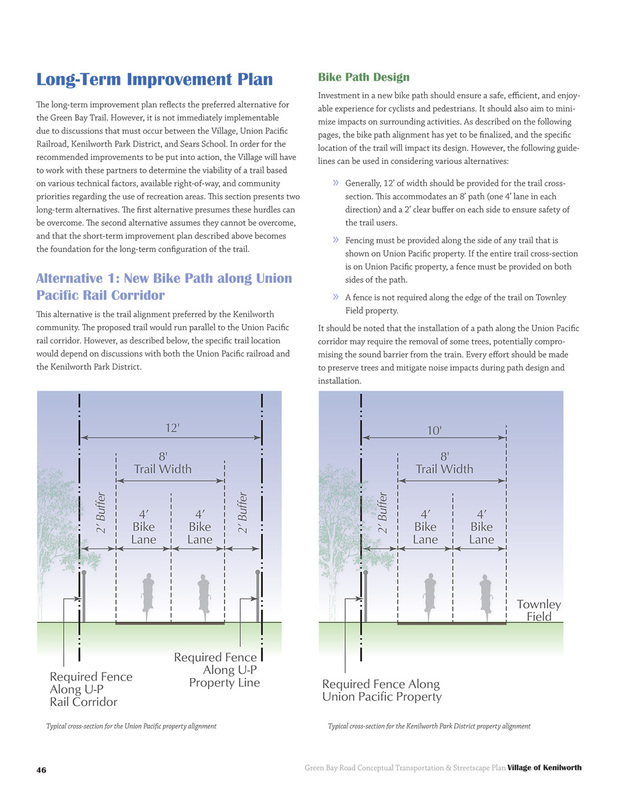 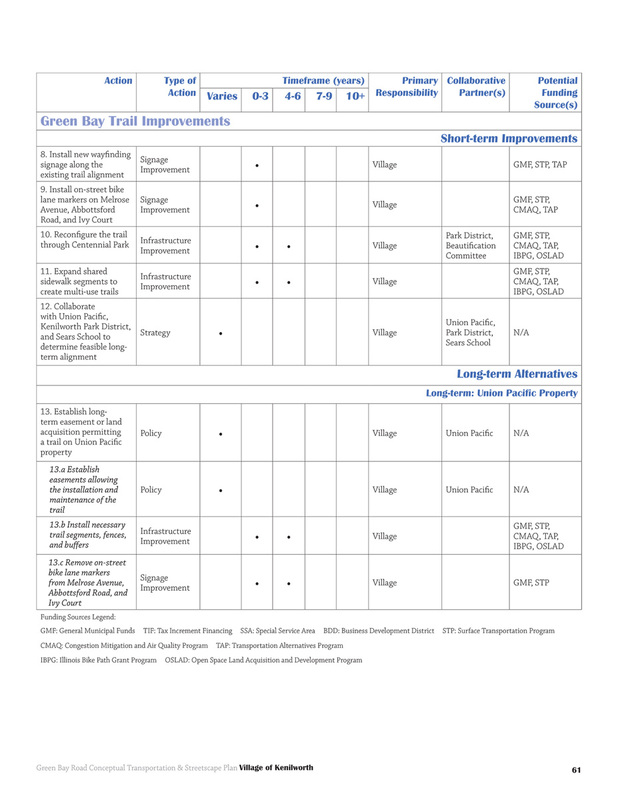 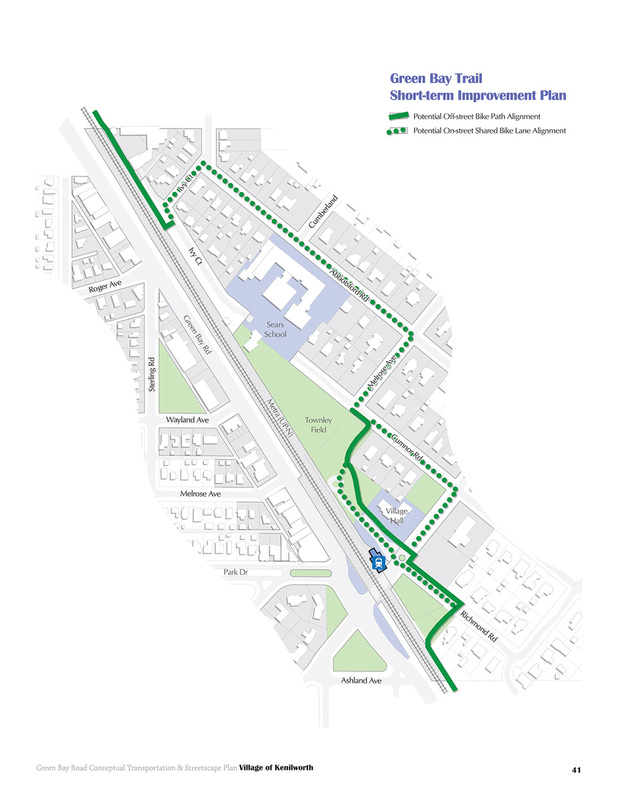 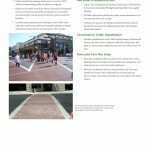 The goals of the Transportation and Streetscape Plan are to enhance access to bus and rail transit along Green Bay Road, enhance pedestrian safety through Kenilworth’s downtown area, ensure efficient traffic flow through the community, make the Green Bay Trail easier and safer to use, and make Green Bay Road a corridor that reflects the character of the community. 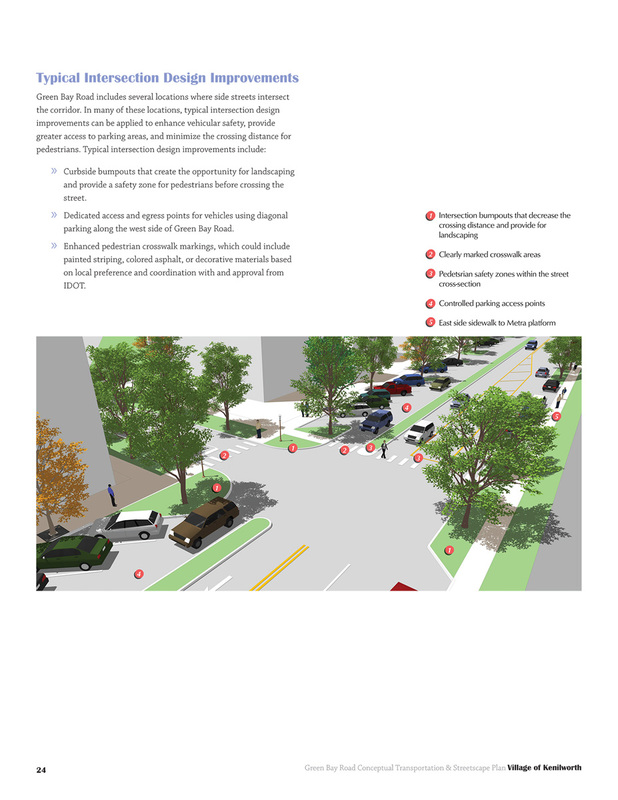 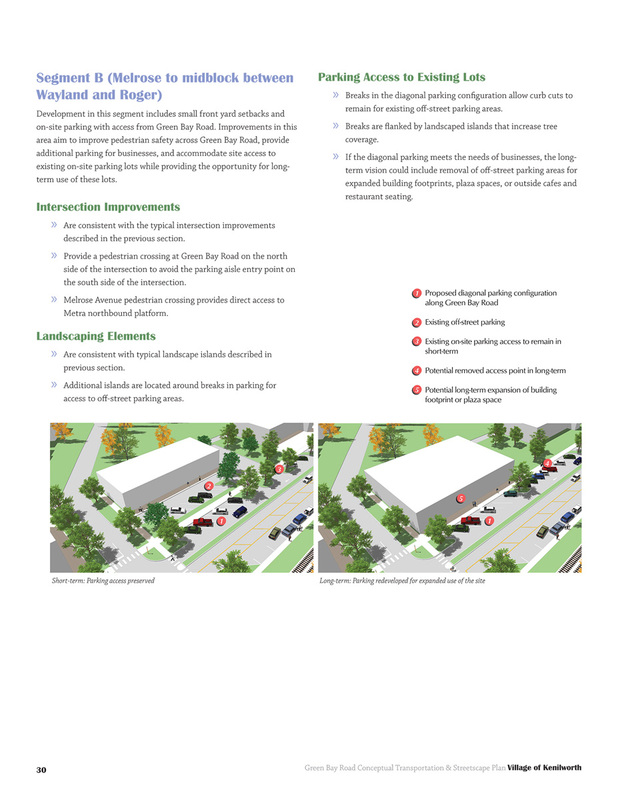 Building on an intensive public outreach process, the Plan recommends a “road diet” that accommodated traffic flow and provides the opportunity for additional landscaping and pedestrian safety measures. 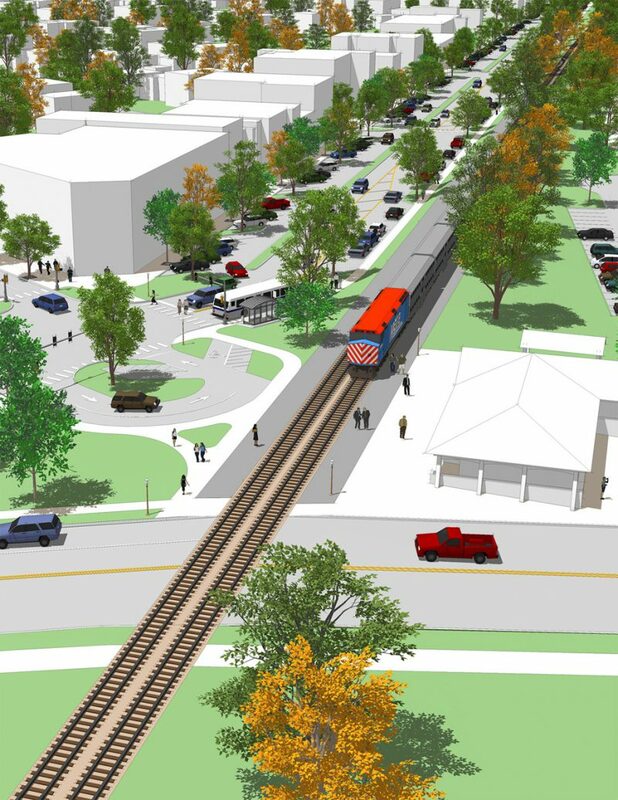 The Plan also maximizes parking for local businesses and pedestrian access across the busy corridor and to bus and rail transit stations. 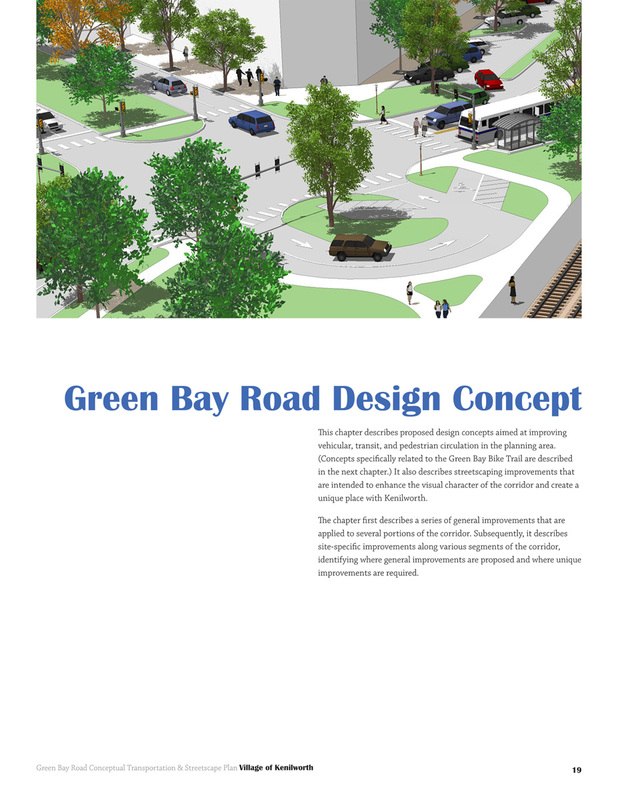 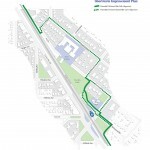 The Plan provides short- and long-term alternatives for the realignment of the Green Bay Trail that will make it easier to use and safer for recreational cyclists or those going to local schools or businesses. 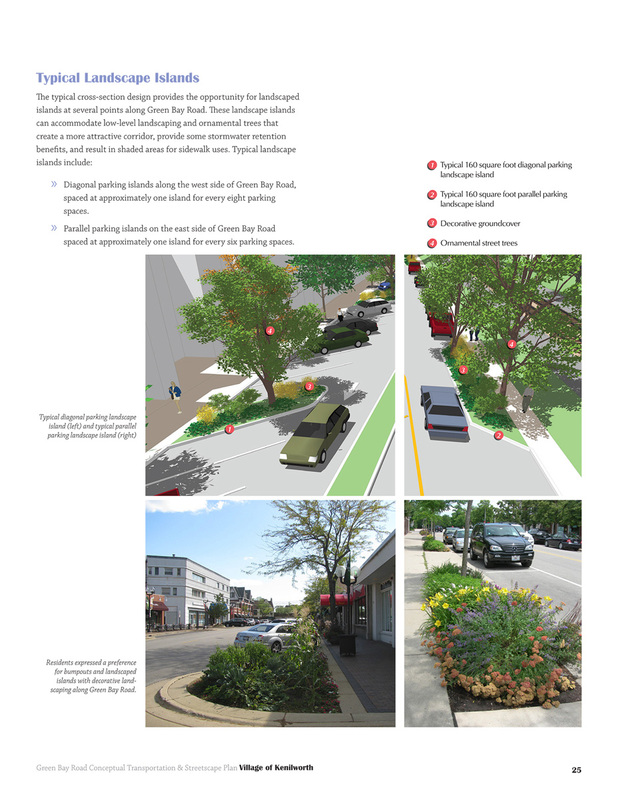 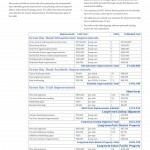 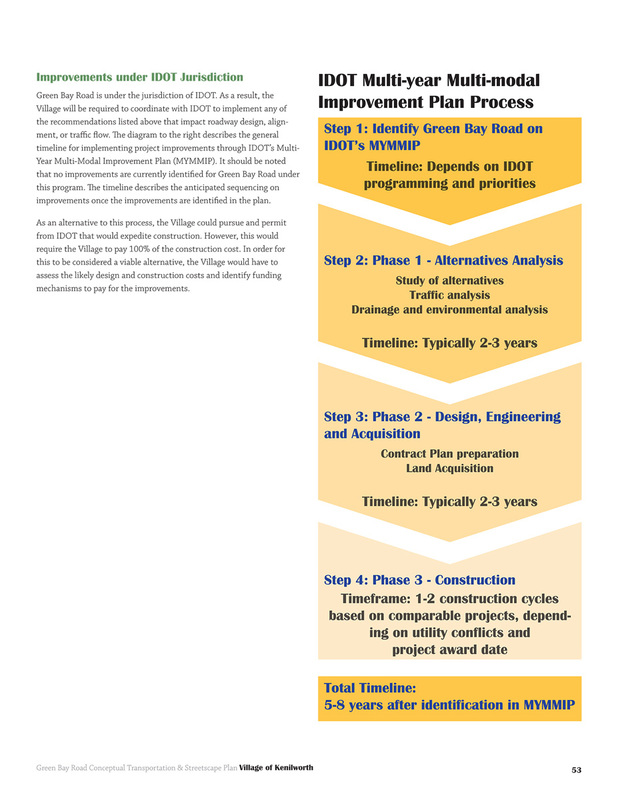 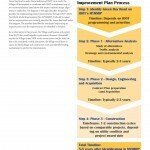 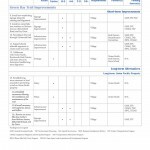 Finally, the Plan includes a detailed implementation program that outlines anticipated costs, collaboration with IDOT and other local partners, and key policies and regulations the community can implement.